Wonderful open 2,300 sq. 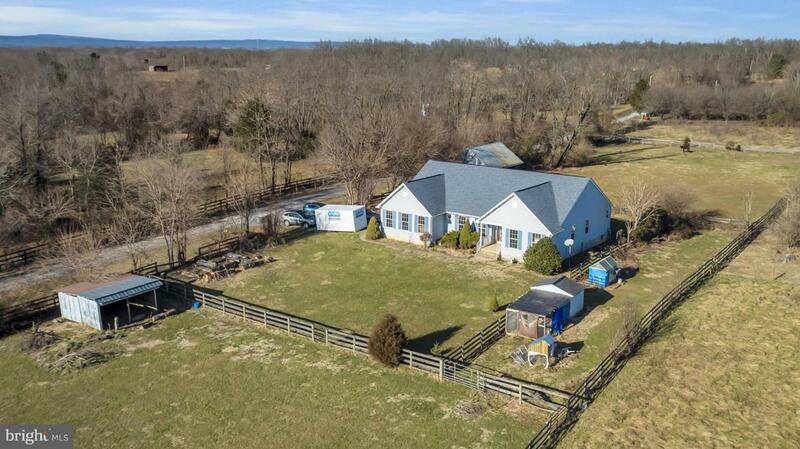 ft. rancher on 3 board fenced acres. 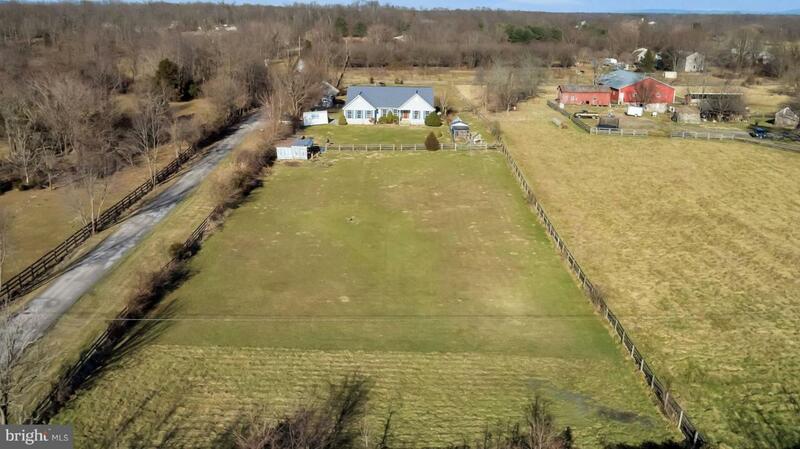 There are 2 large paddocks for any animal you might want to have. 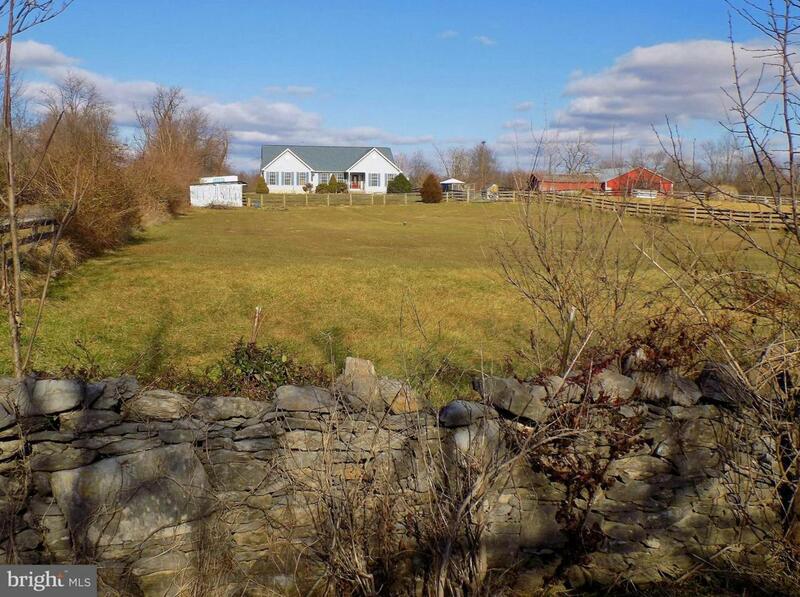 The front paddock has a run in shed and the back has a lovely custom barn with 2 stalls and a large run-in as well. The barn has a large hay loft as well.There is a chicken coop and a high chain link fence for dogs. No restrictions.The main level of the home has new gorgeous cherry stained hardwoods and a brand new Kitchen with quartz counter tops and new stainless appliances. There is a lovely breakfast room adjoining the kitchen with a full bump out and space for a table as well as the eat-in bar from the kitchen. As you enter the formal hallway you can see almost every room in this open concept home. The Great room has cathedral ceilings and a gas fireplace. 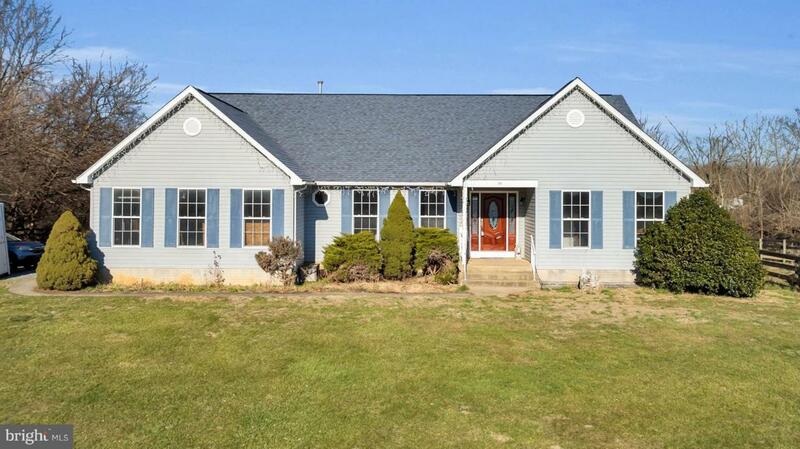 There is a formal living room with large windows overlooking beautiful pastoral views. The split floor plan is great with the large master bedroom one on side of the house and the 2 other good sized bedrooms on the other side. The master has a large bathroom and 2 walk- in closets. The master bath has 2 separate vanities a walk-in tiled shower with a built in bench and an over sized whirlpool tub with windows overlooking the fields and woods beyond. There are 3 baths total and all have been recently remodeled. The light fixtures are very contemporary and have all been replaced as well. The lower level is full and is walk out with double french doors. There is a full bath and a large mostly finished family room. Plenty more space in this level is not yet finished and is waiting for your touches. Lovely is the word both in and out. Surrounded by other farms, this private location with pastoral and mountain views can be enjoyed from every window in the home. Come take a look. Priced under a recent appraised evaluation.